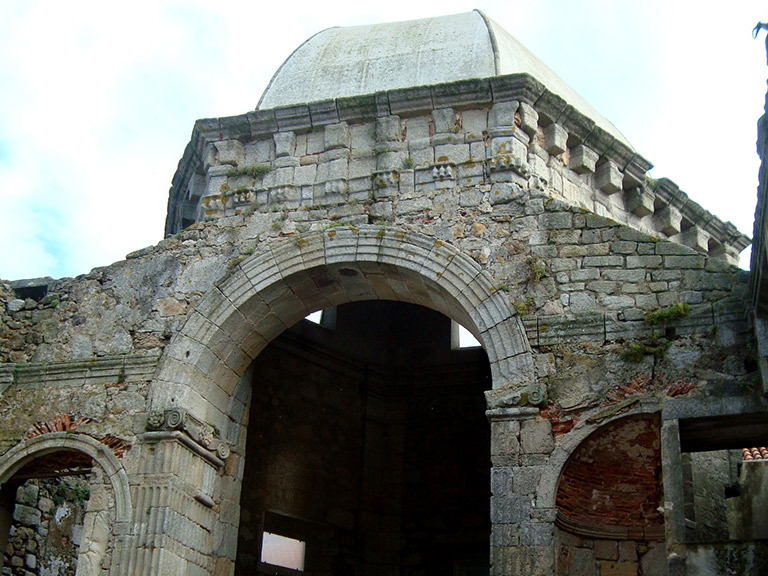 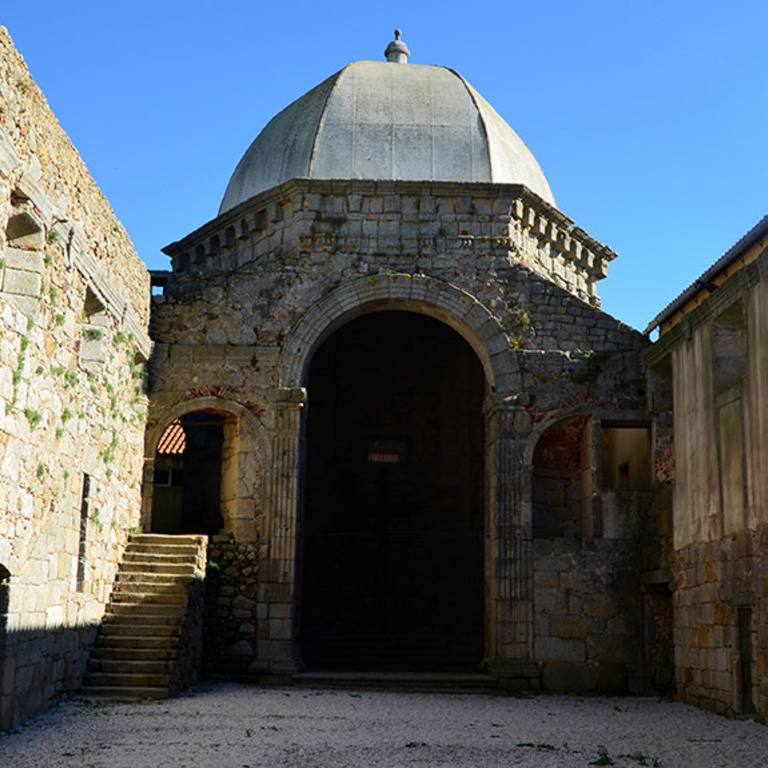 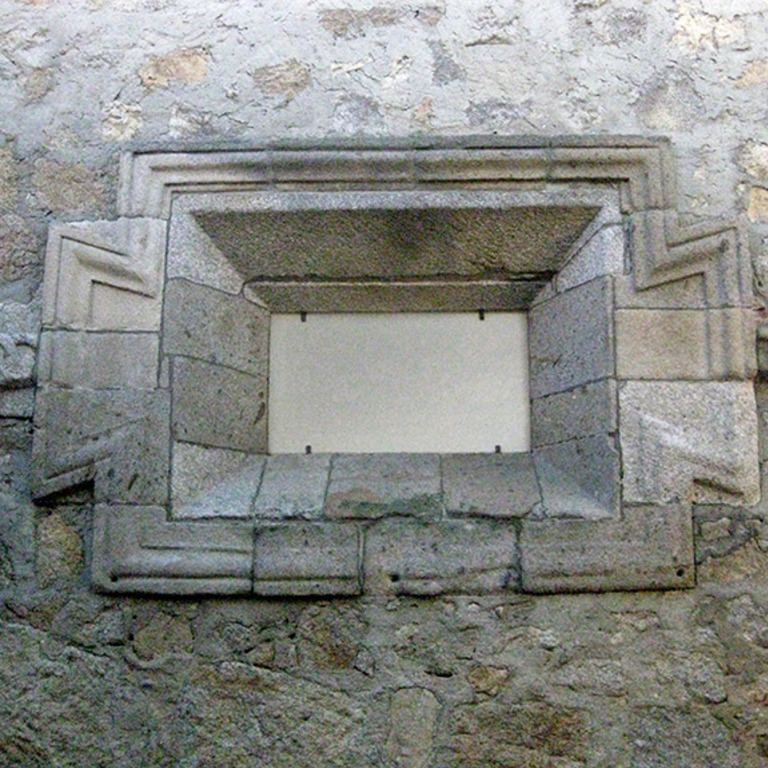 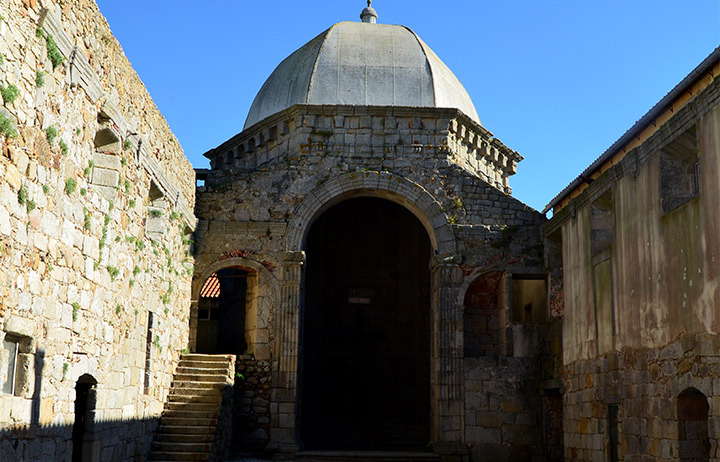 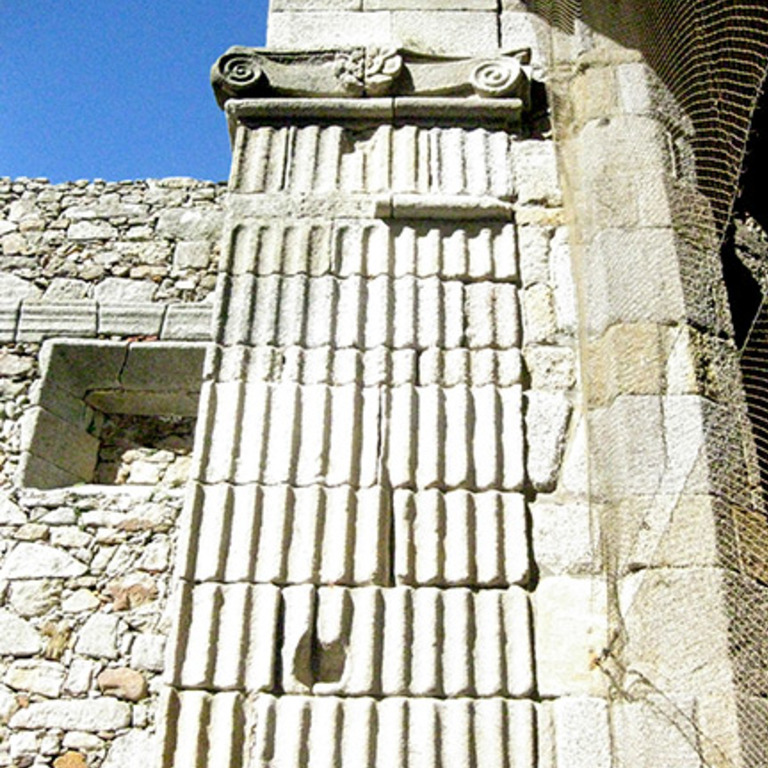 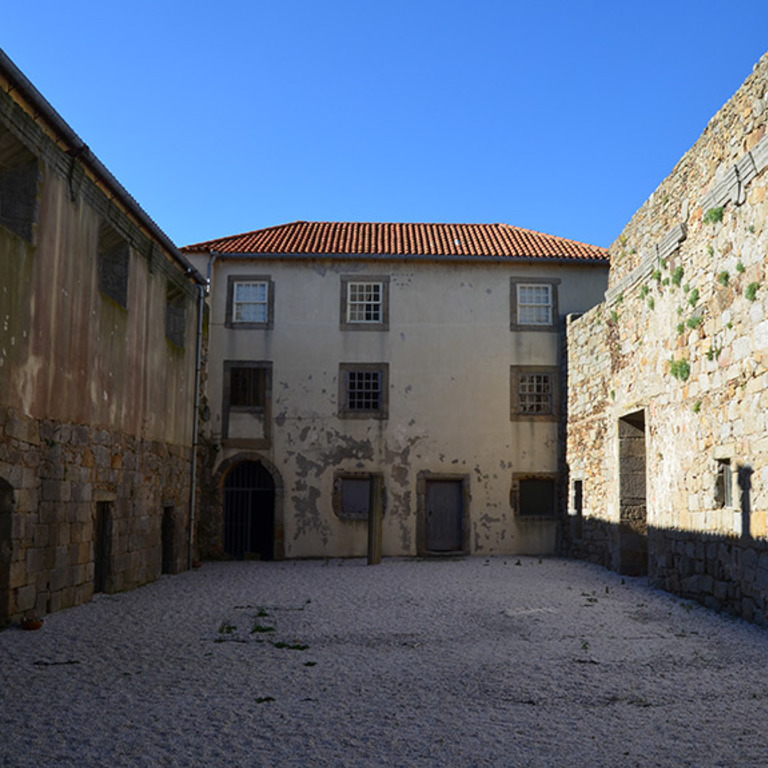 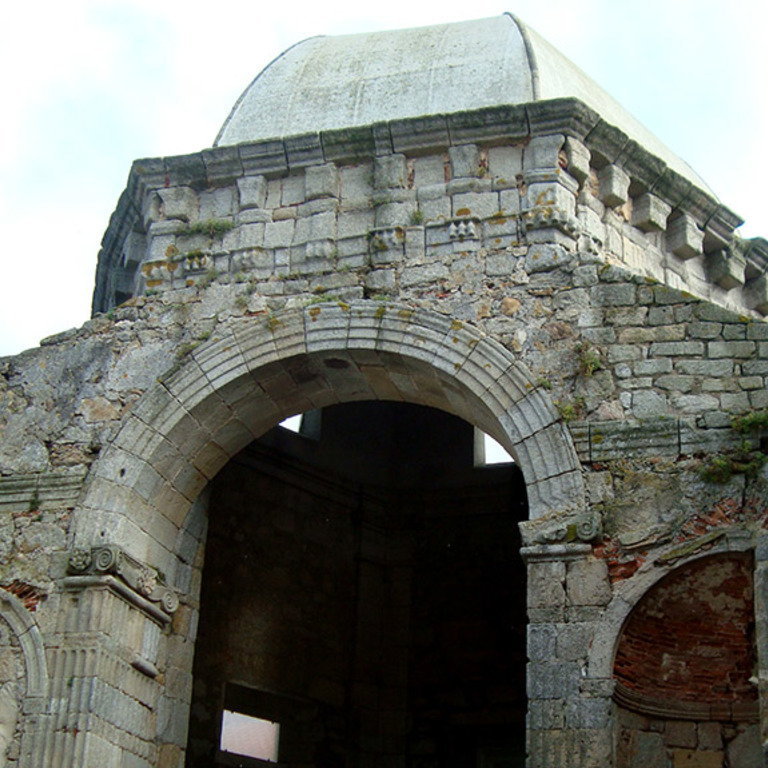 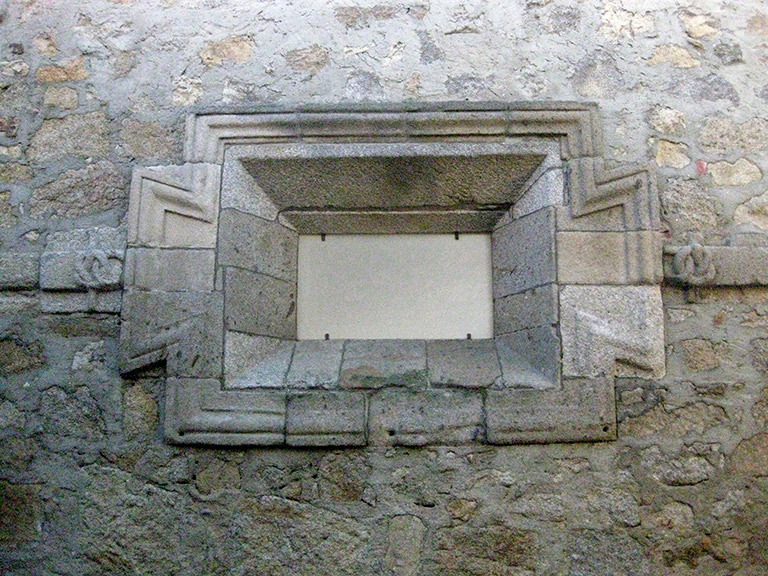 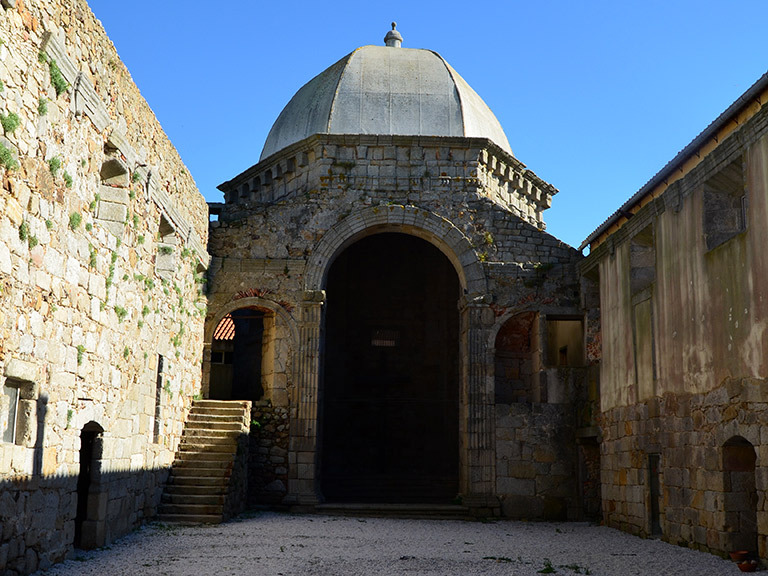 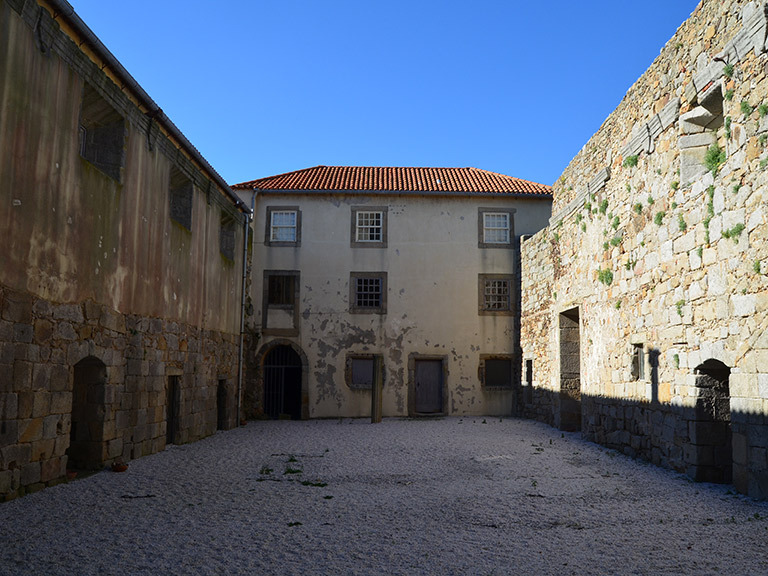 The old church of São João Baptista (1527-1548), product of the patronage of D. Miguel da Silva, abbot of Santo Tirso and Bishop of Viseu, at the mouth of the Douro river, was one of the first Renaissance buildings in Portugal. 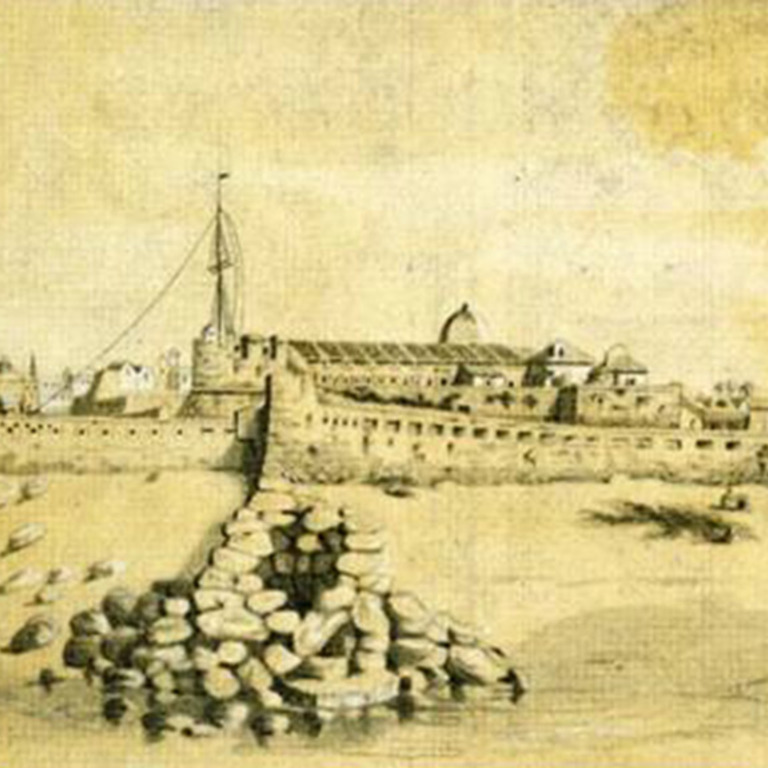 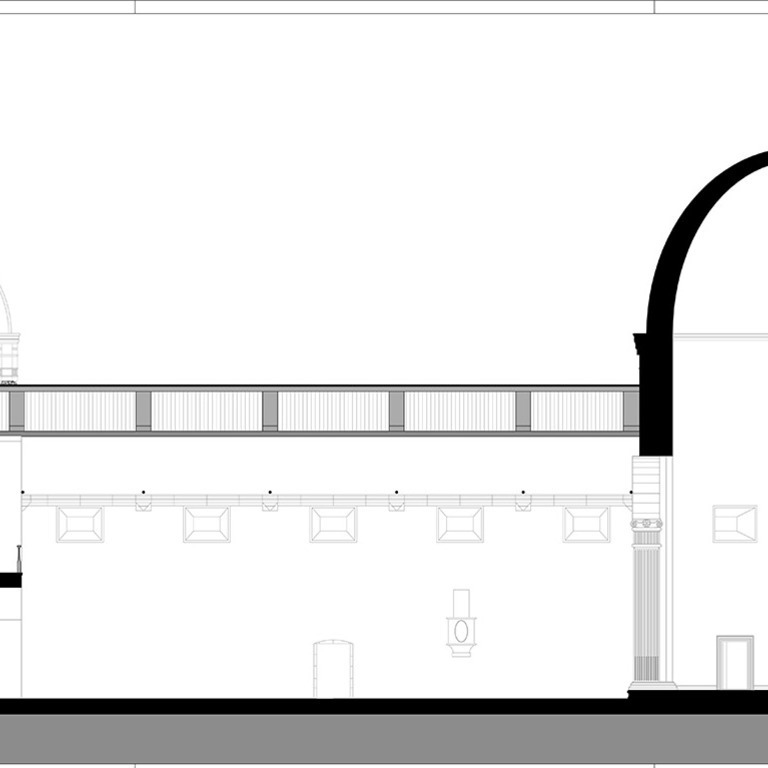 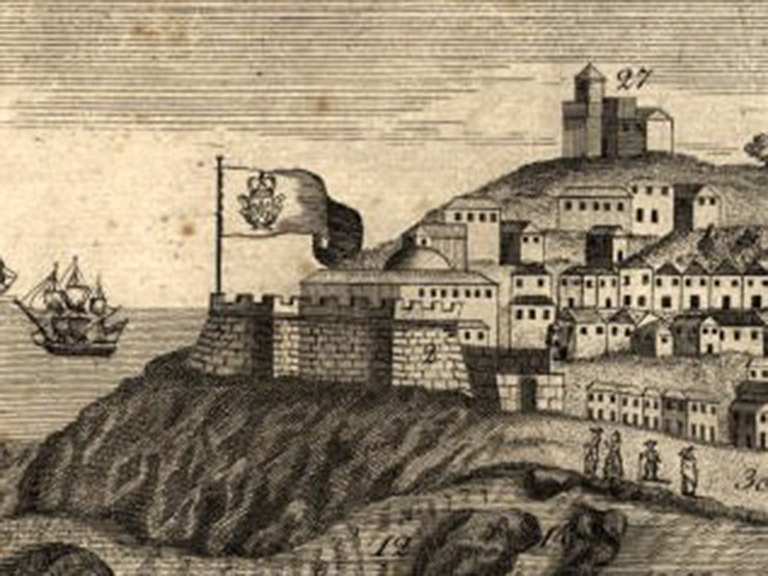 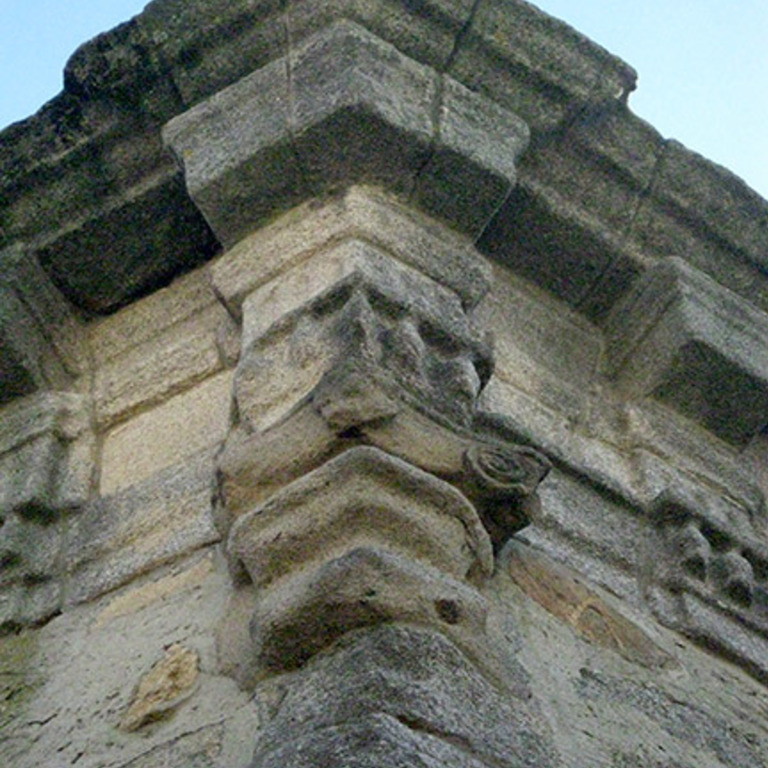 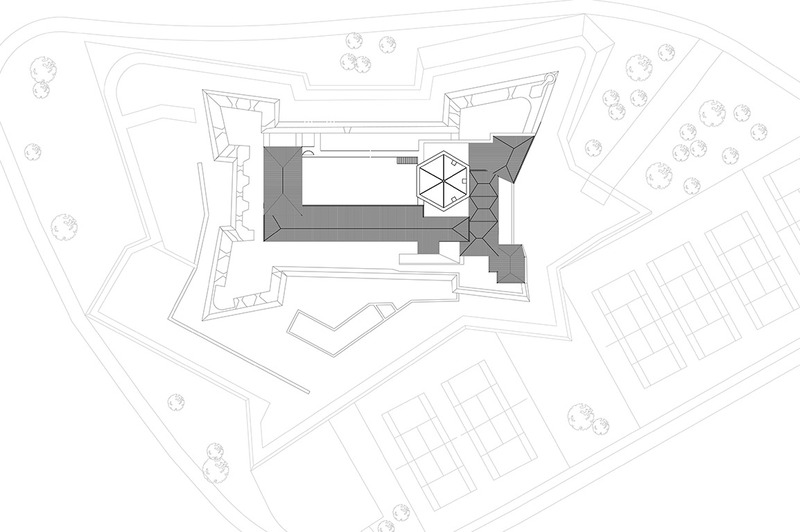 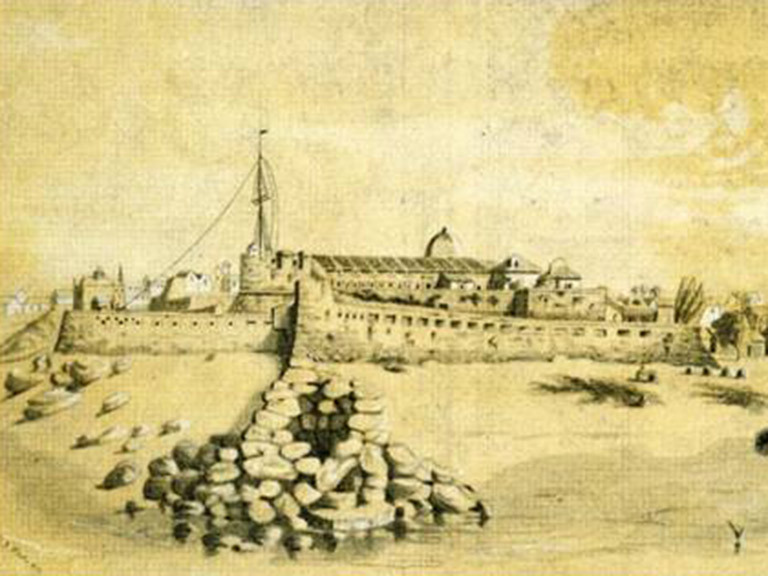 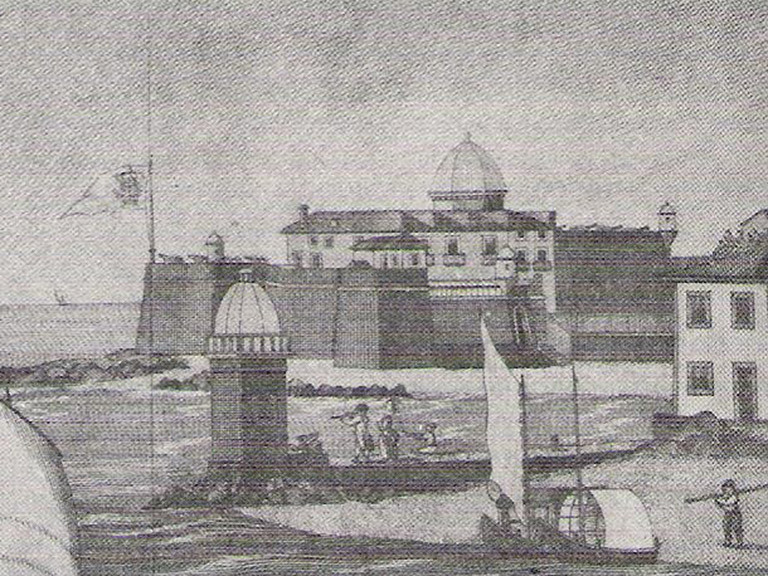 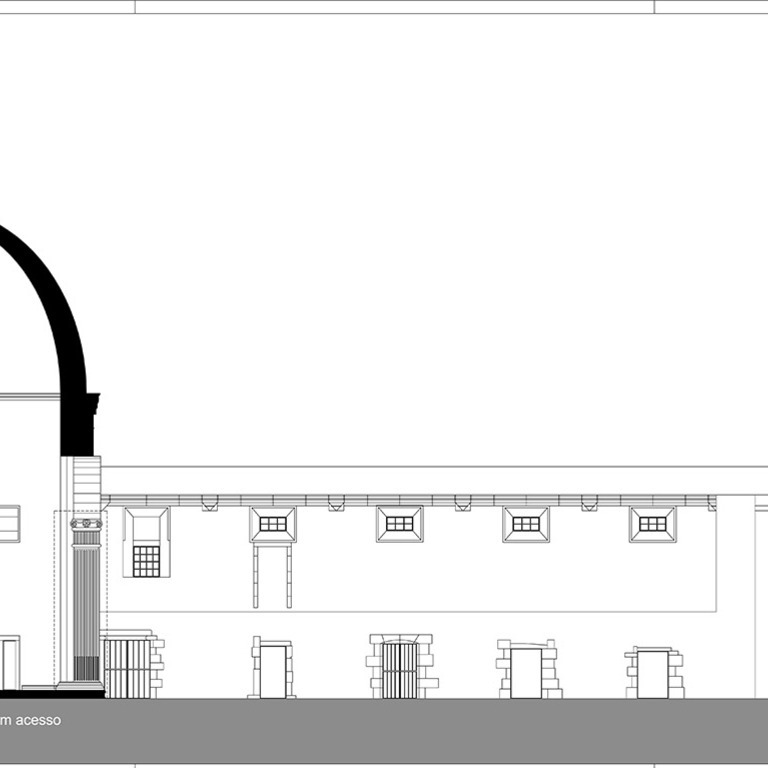 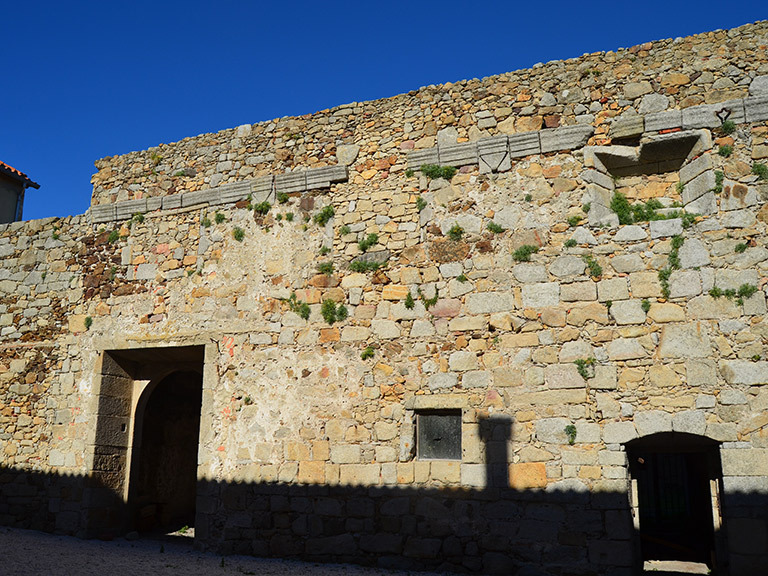 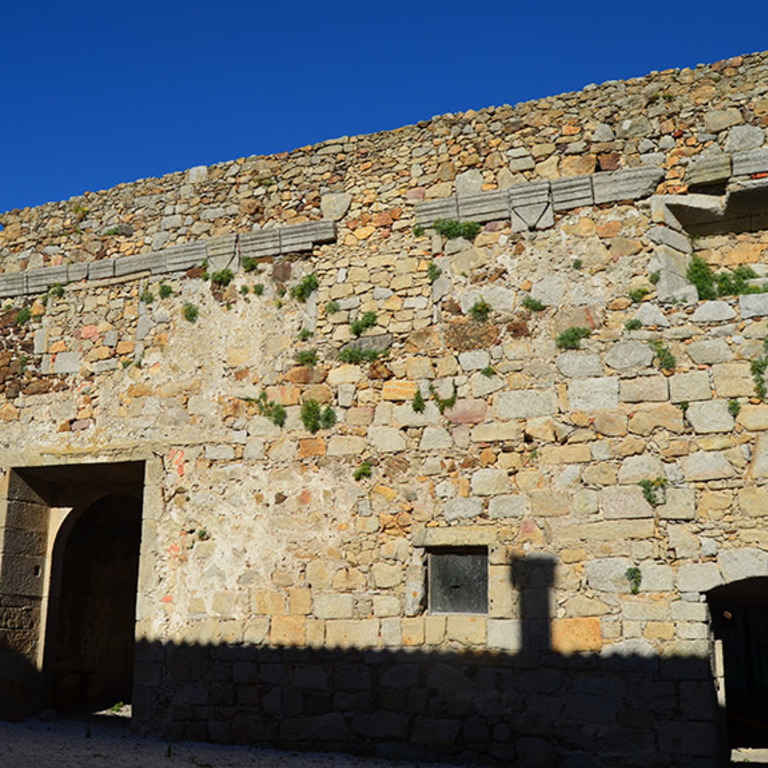 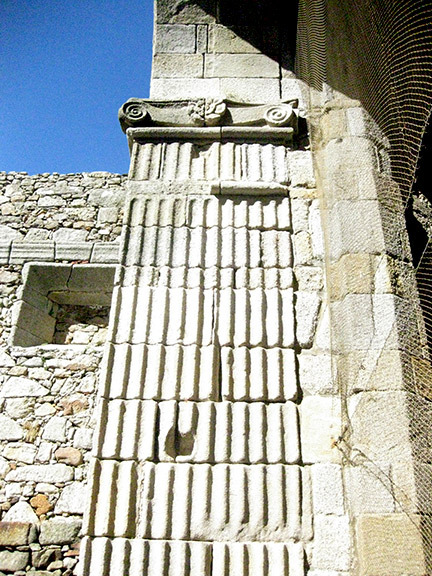 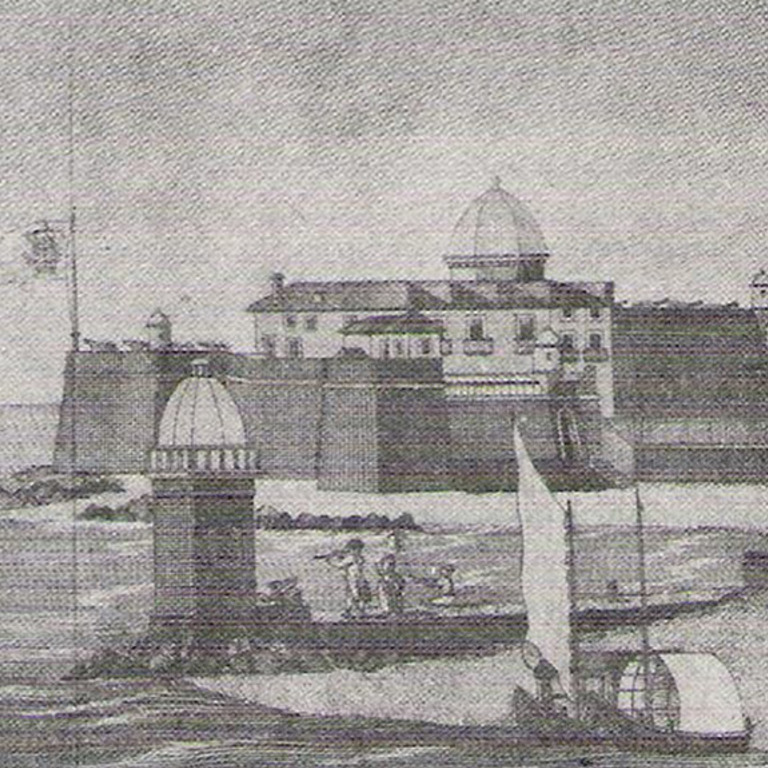 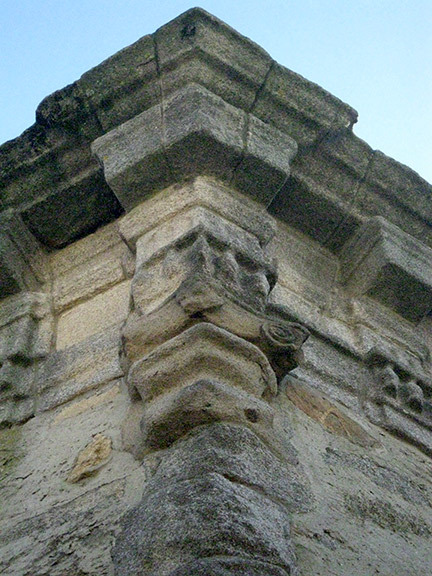 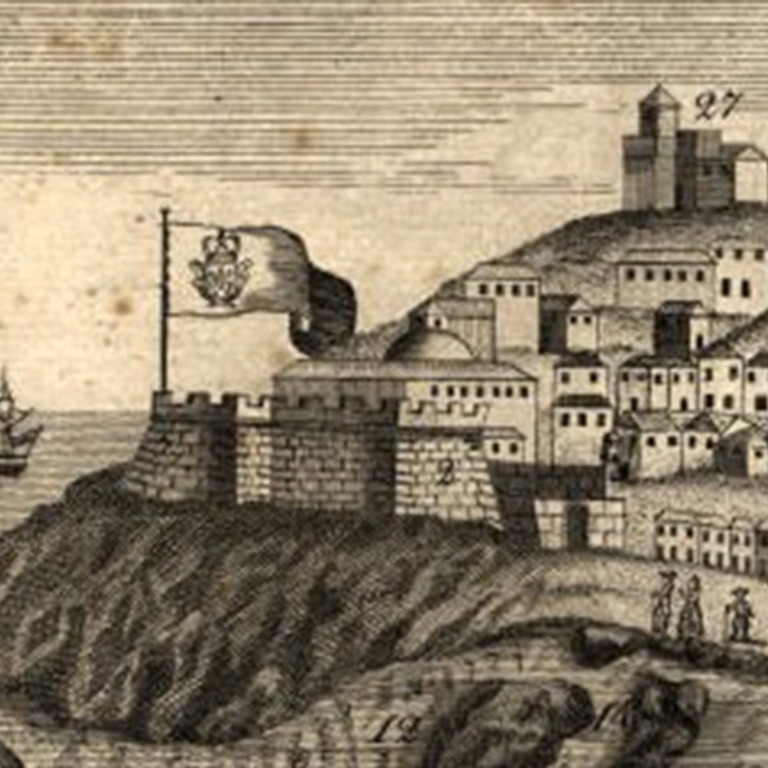 The church was, however, absorbed by the construction of the fort with the same name, begun in 1570. 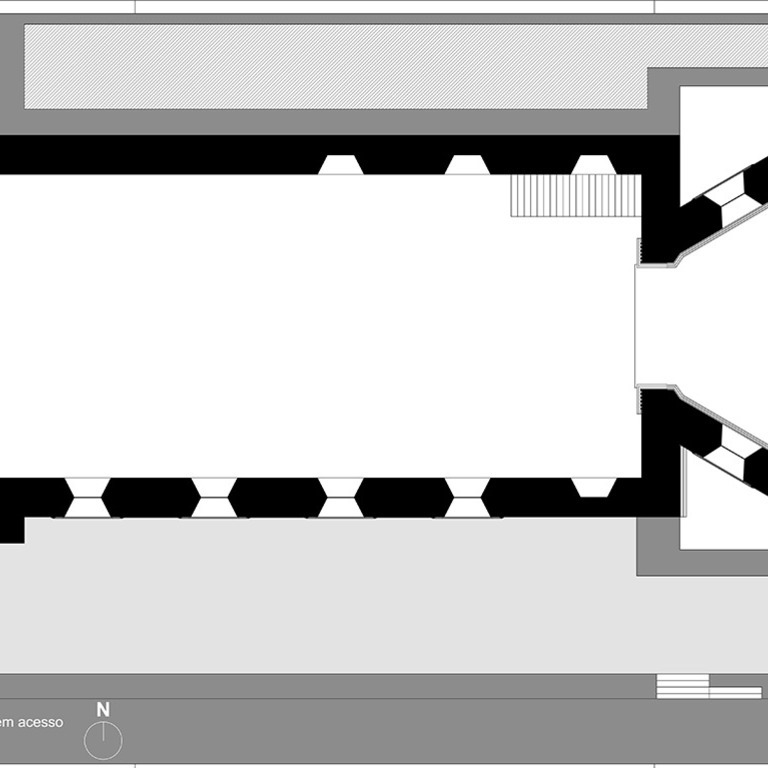 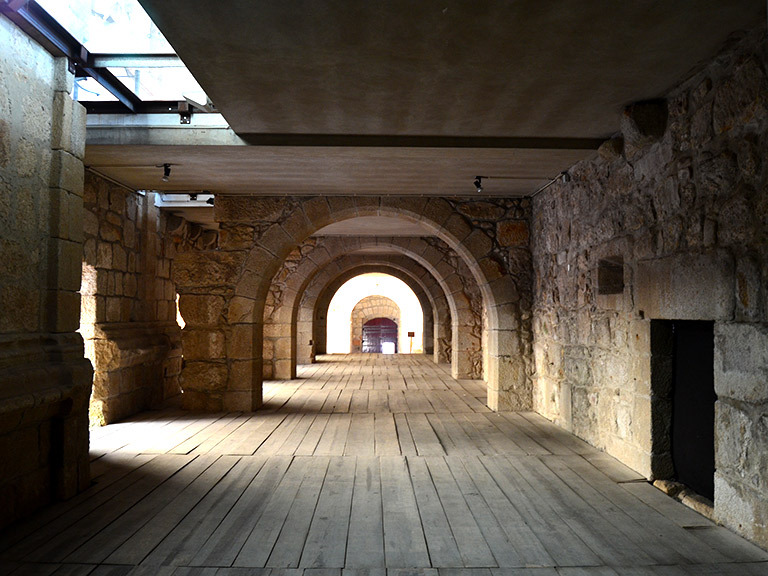 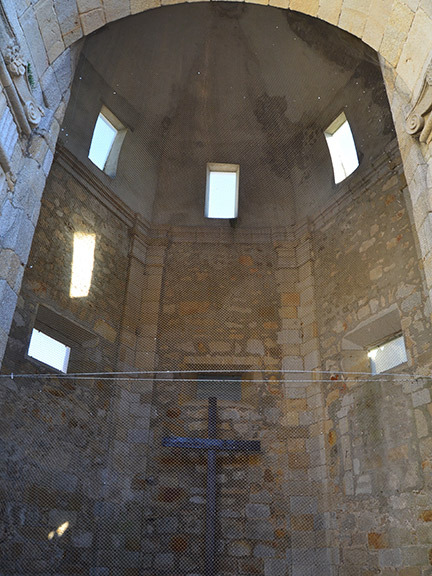 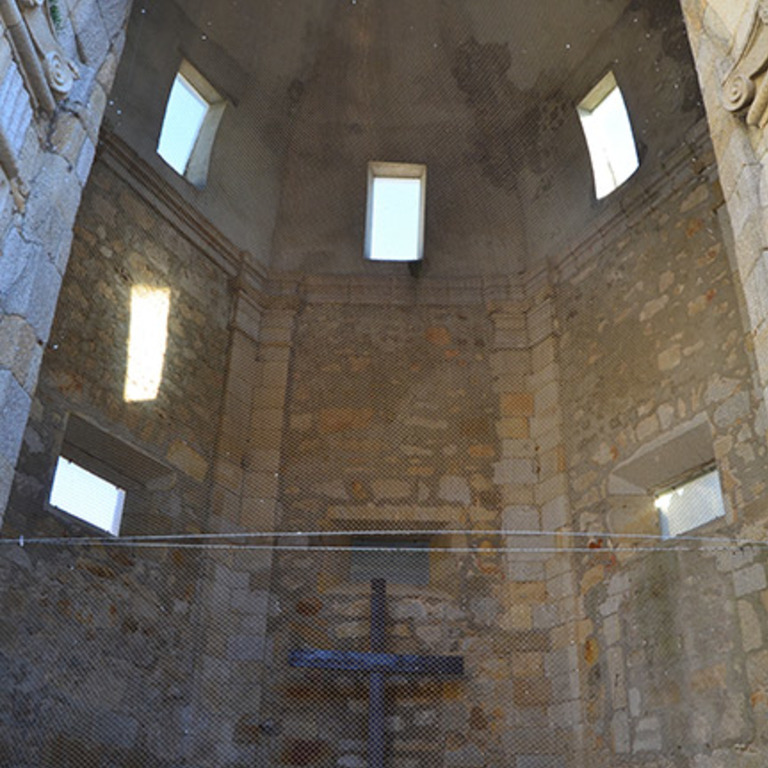 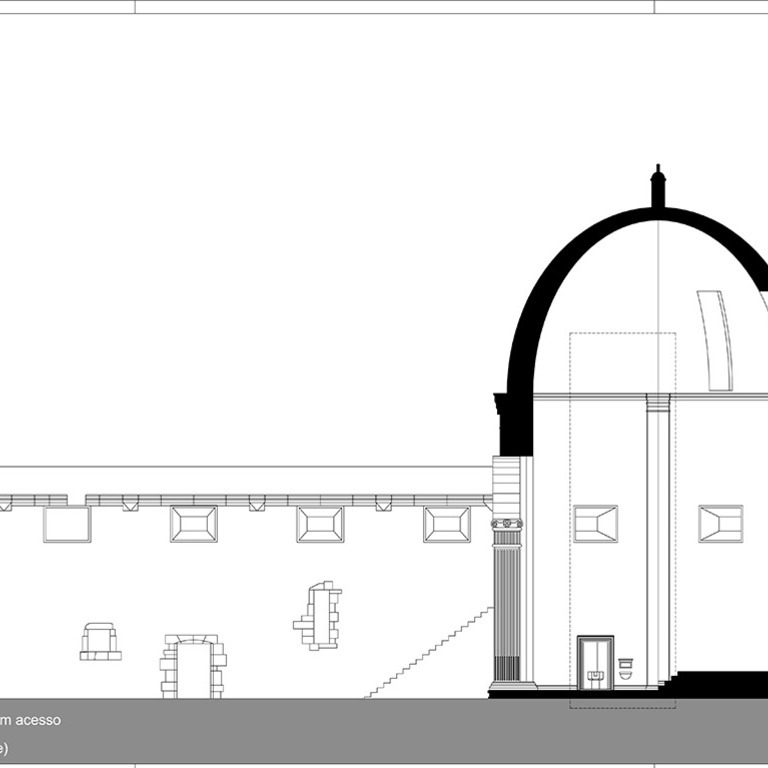 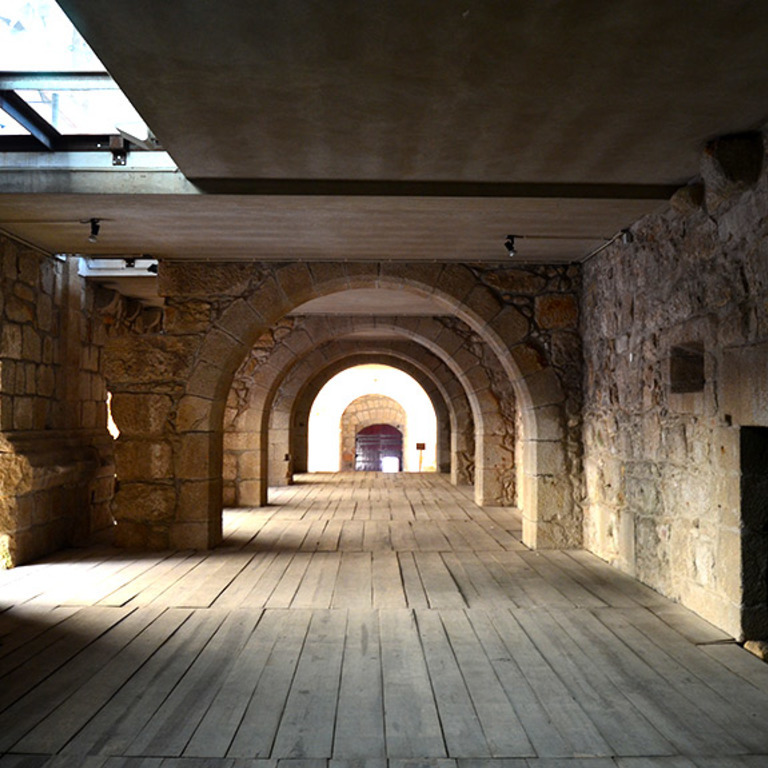 The space of the nave was transformed into the fort's parade ground and the hexagonal body of the main chapel was adapted to become the fortress' oratory. 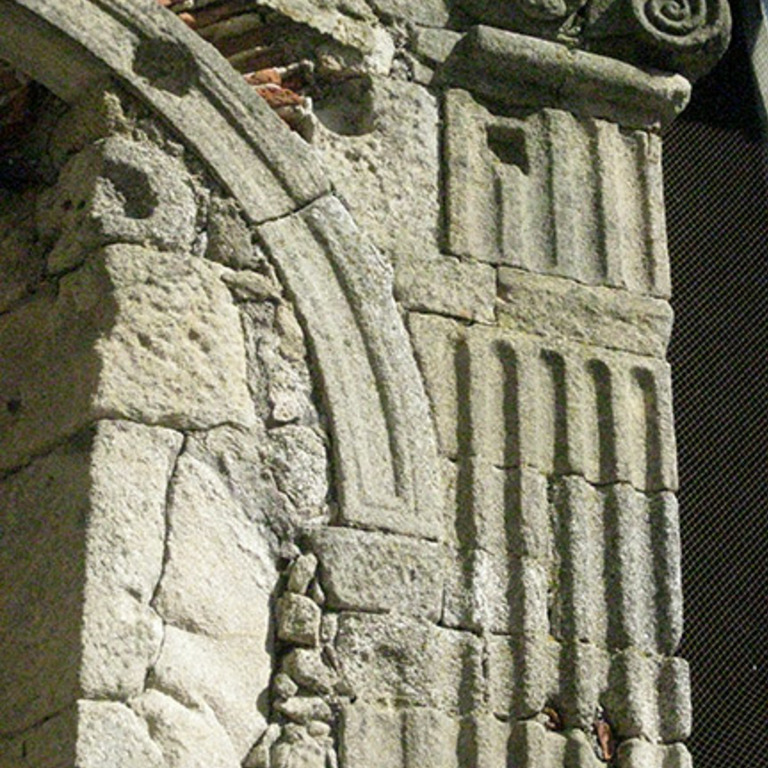 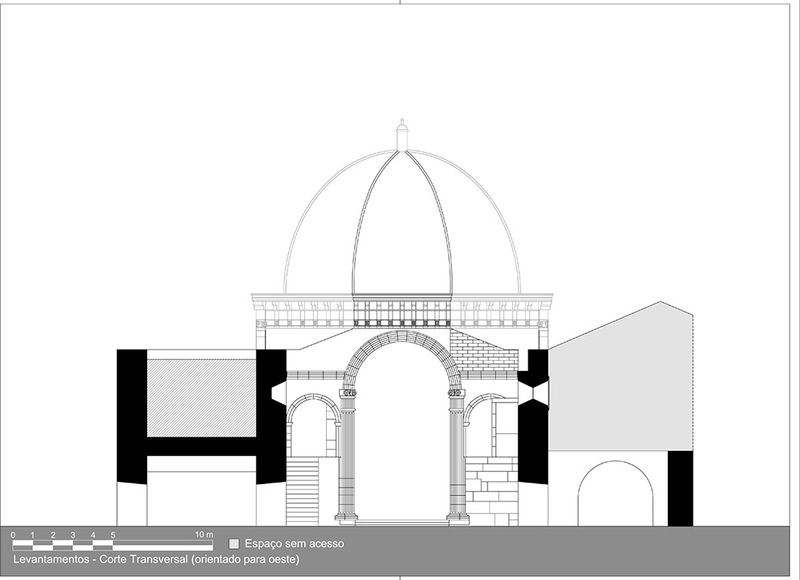 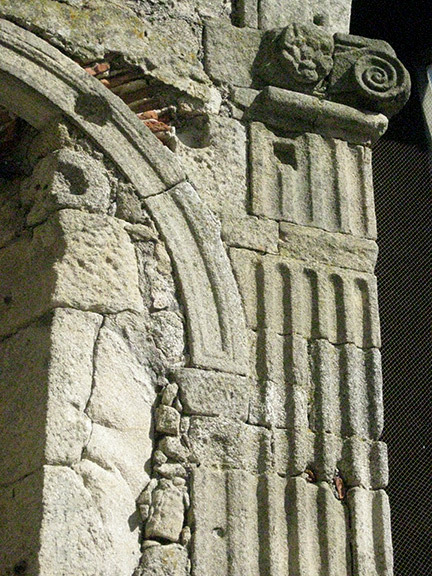 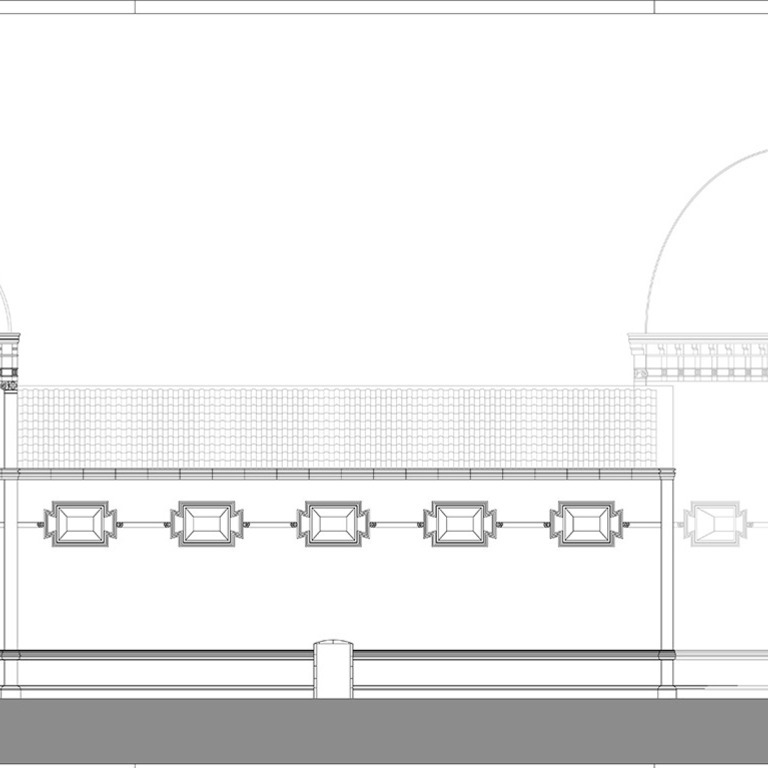 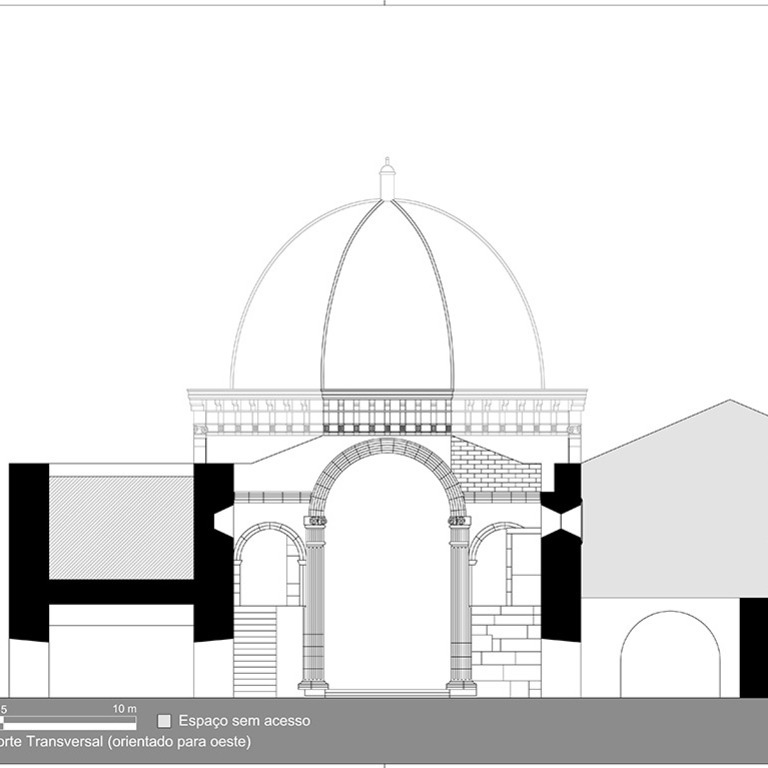 Among the characteristics of the primitive construction, the entablature of the nave, the original decoration in window-frames inserted in memorial panels (tabula ansata, fastened to a chain by knots), the triumphal arch and the main chapel (including the florentine-styled dome) remain preserved . 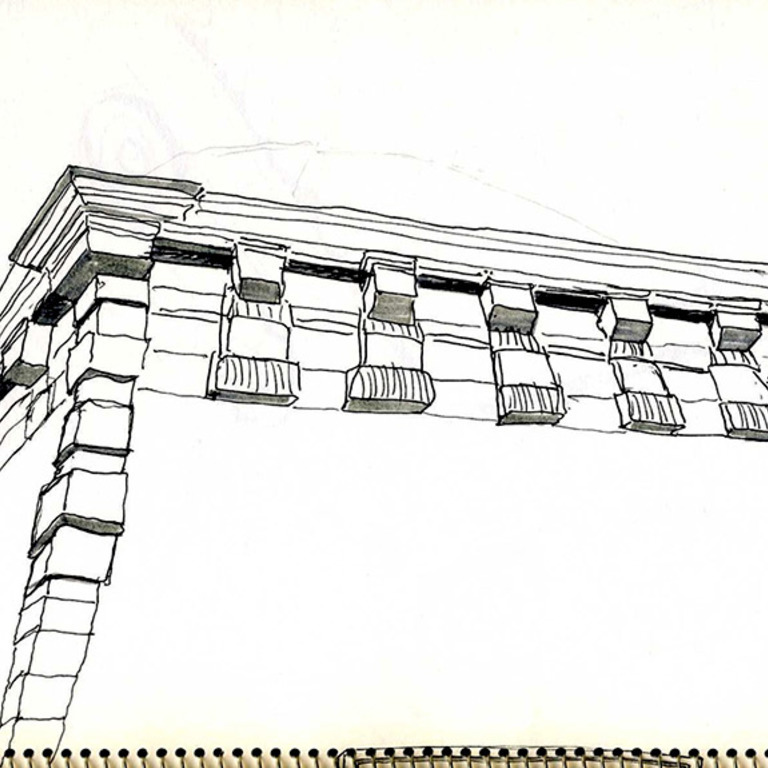 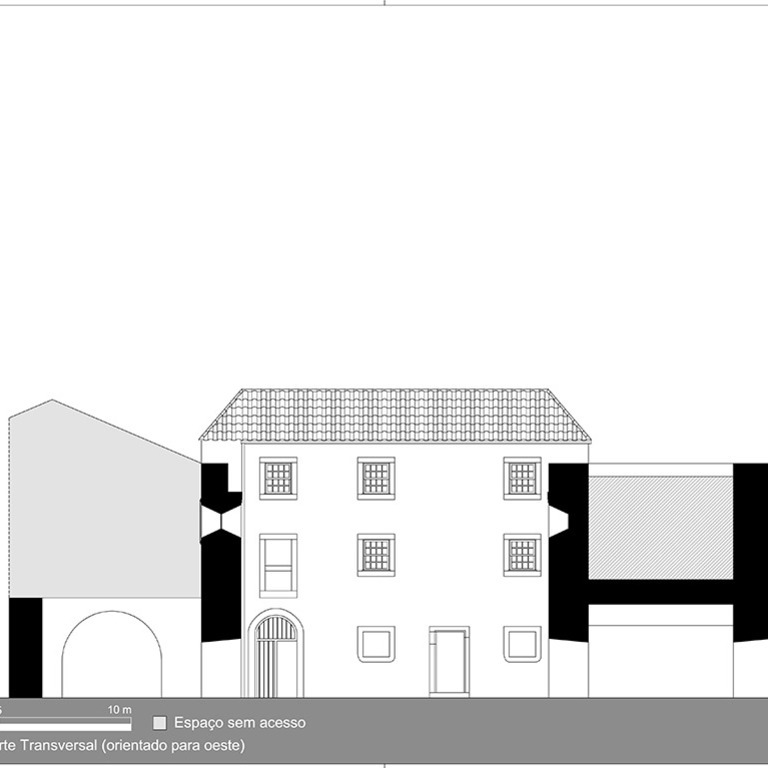 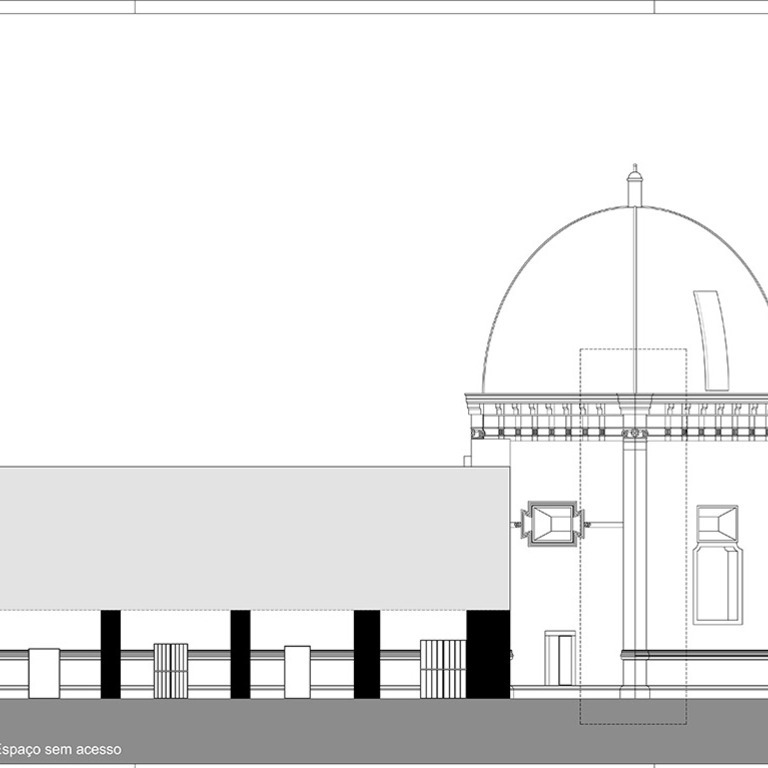 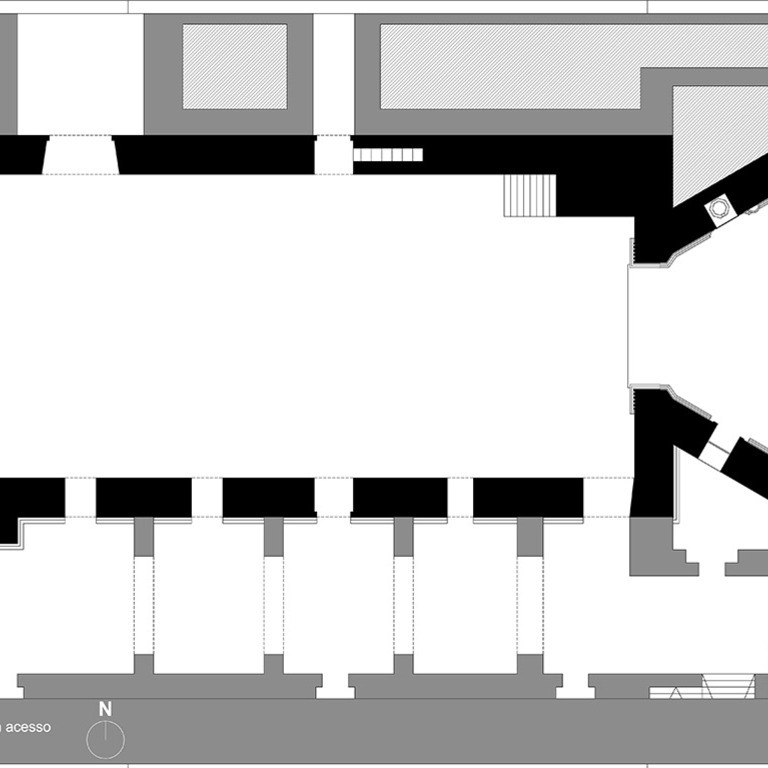 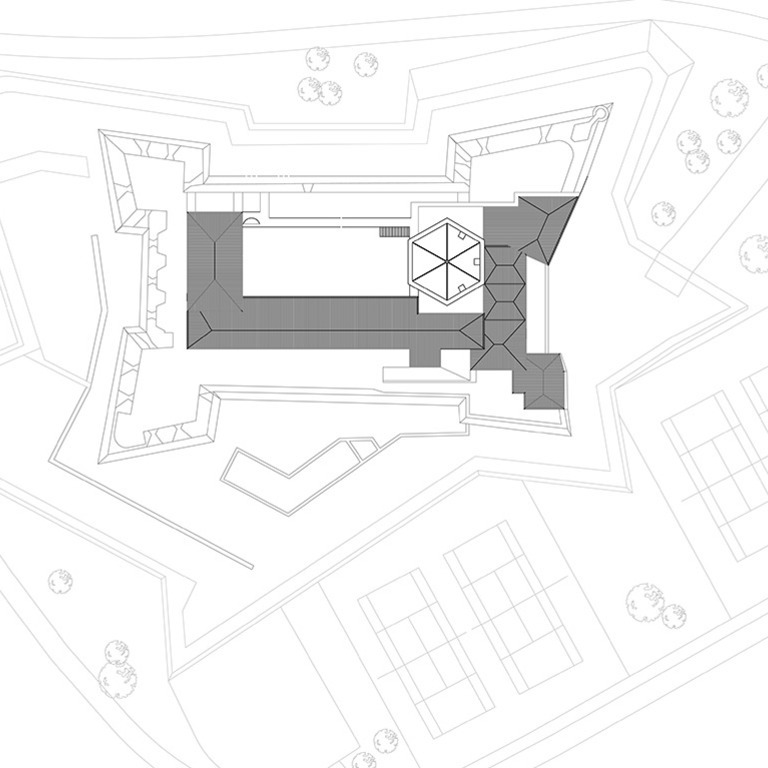 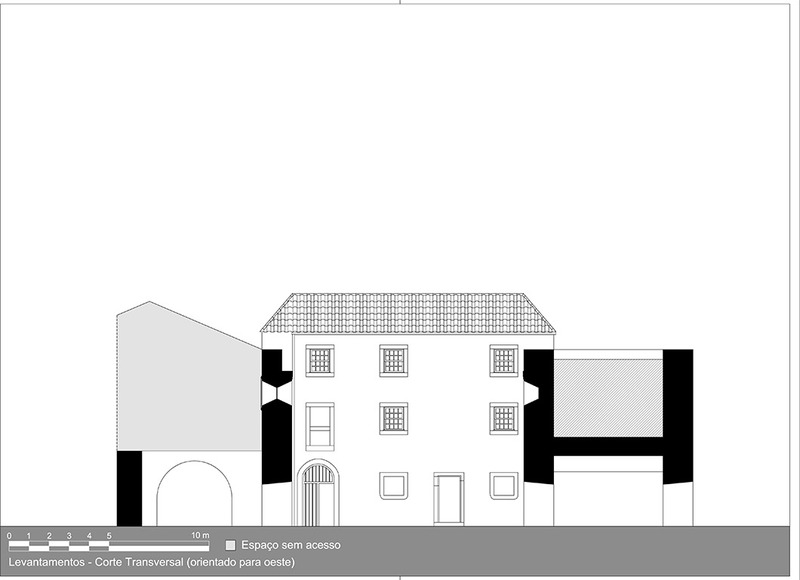 The work developed by the students consisted in the survey of the existing structures, producing a photographic archive and drawings of the current state of the building. 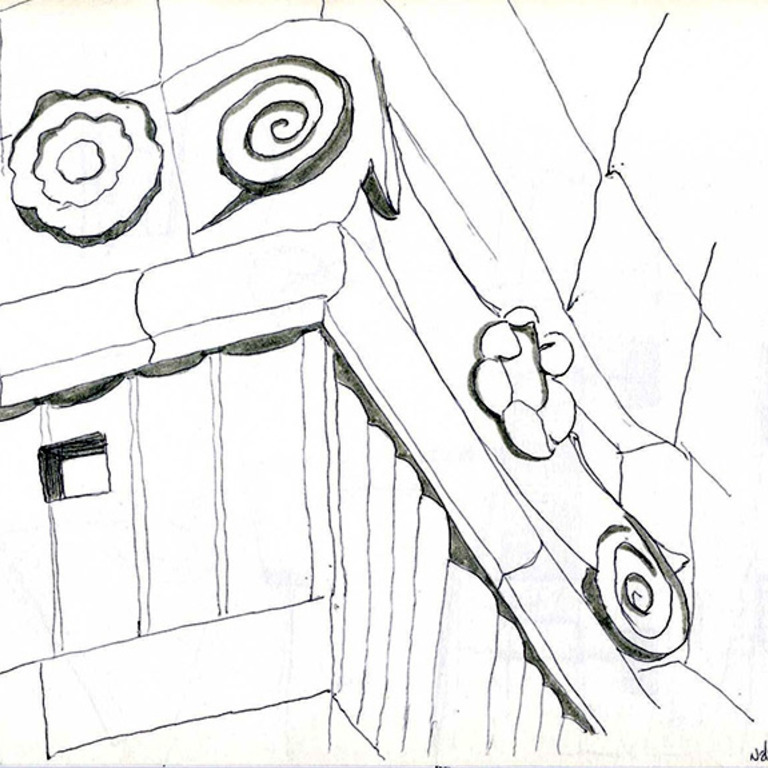 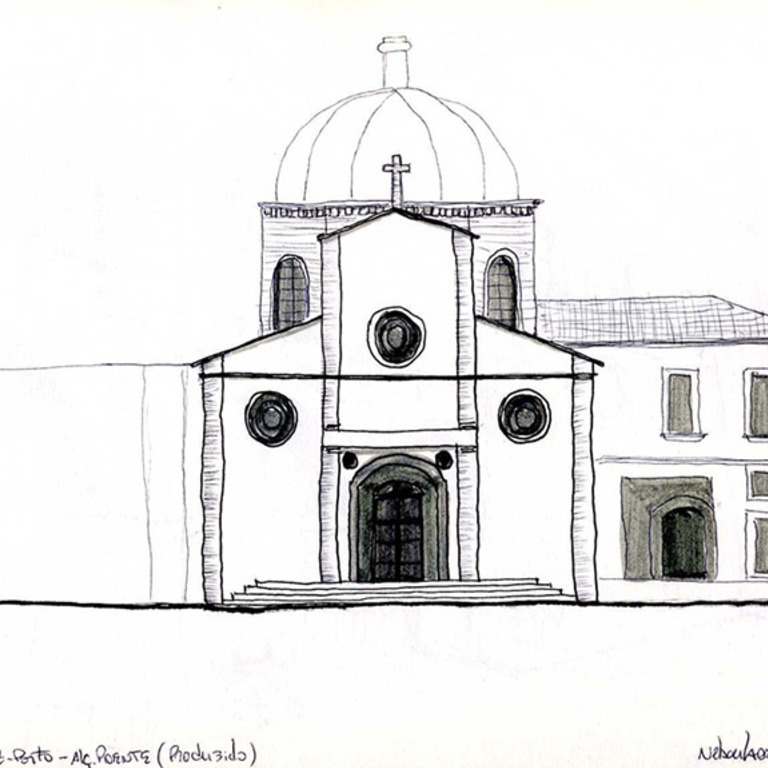 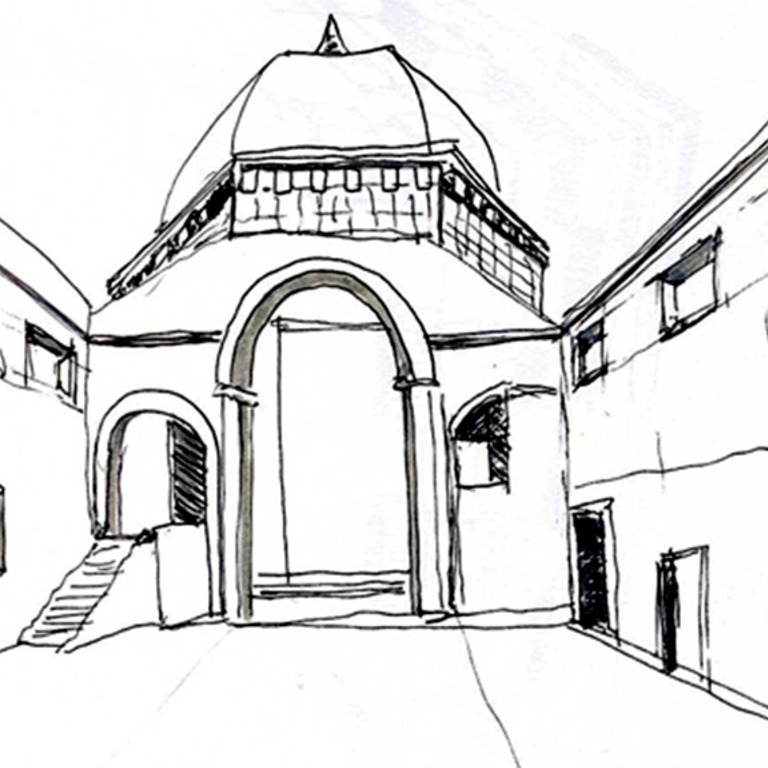 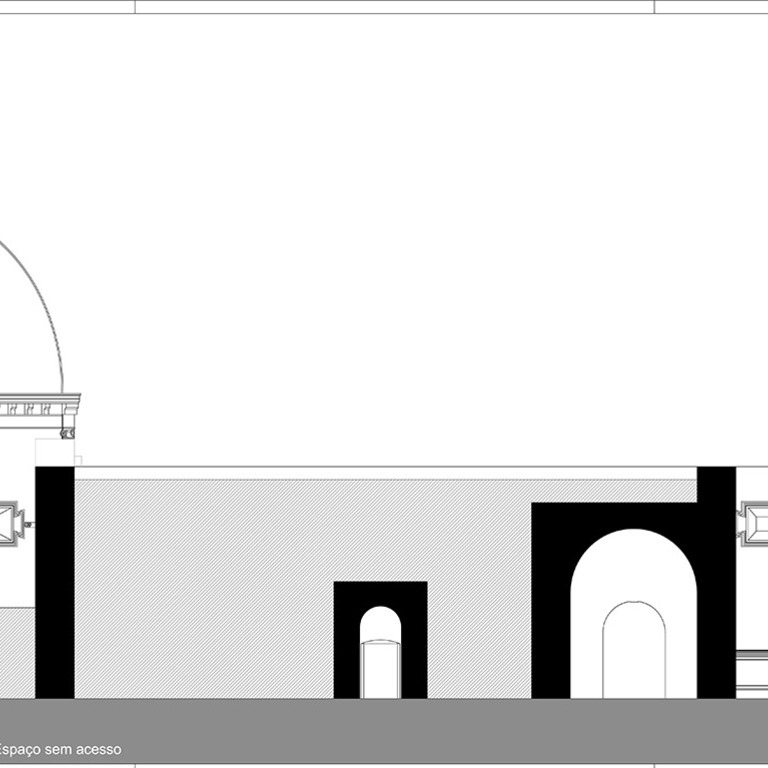 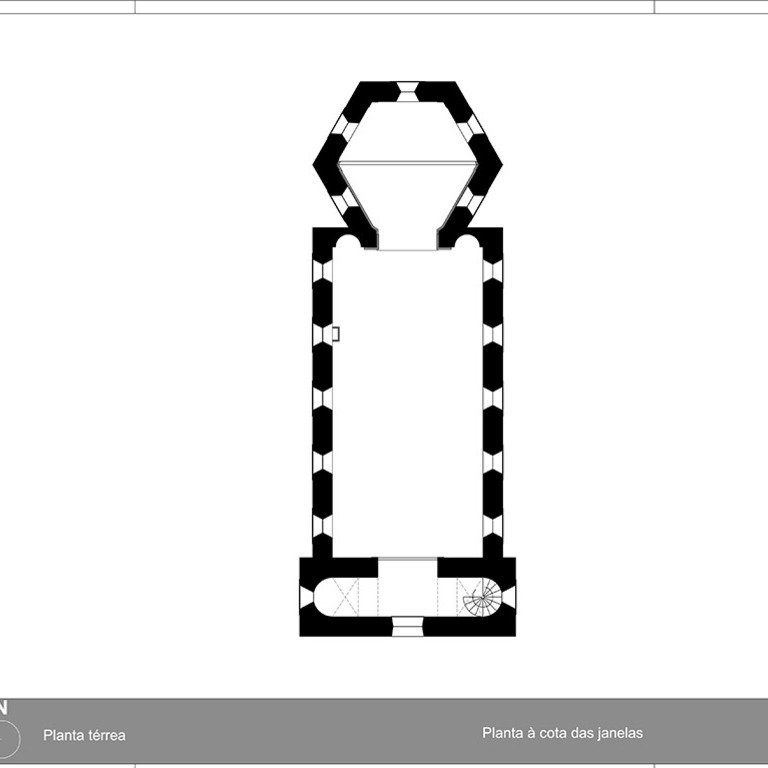 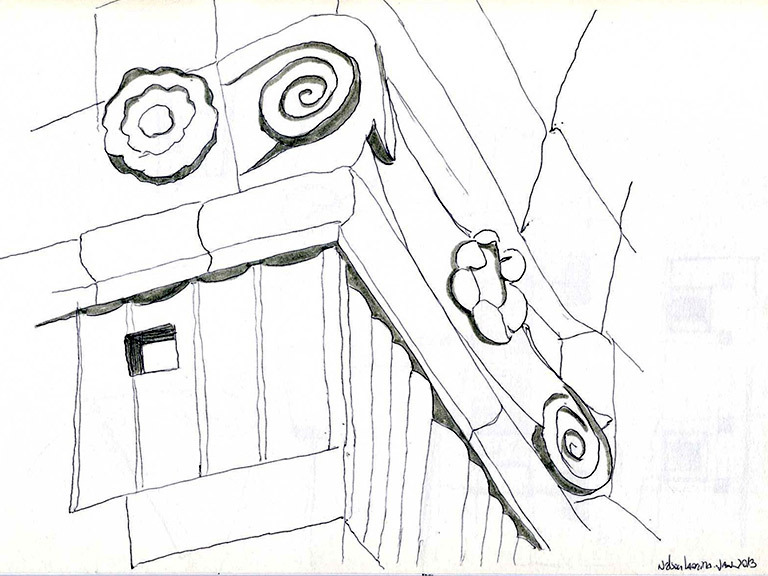 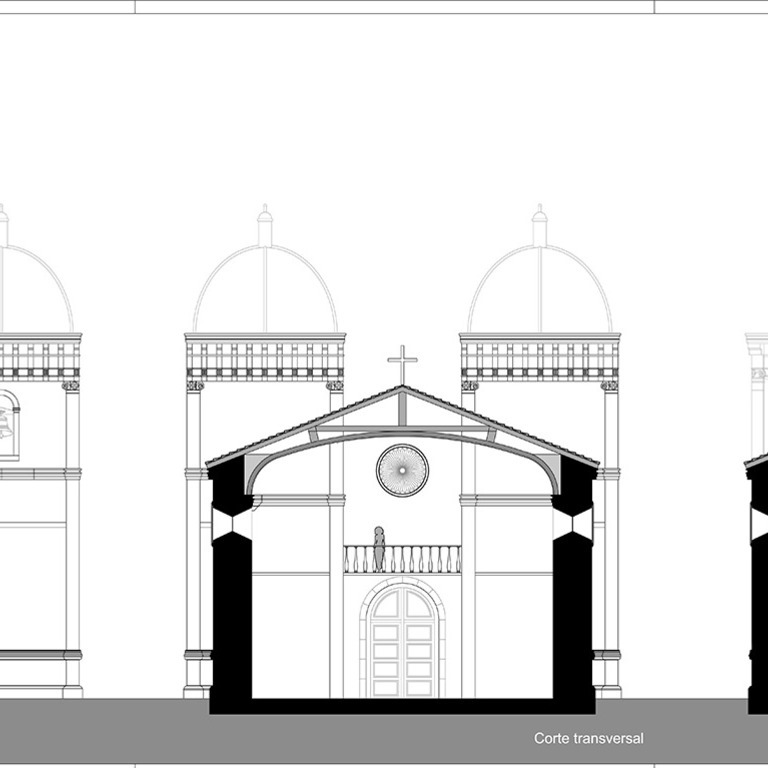 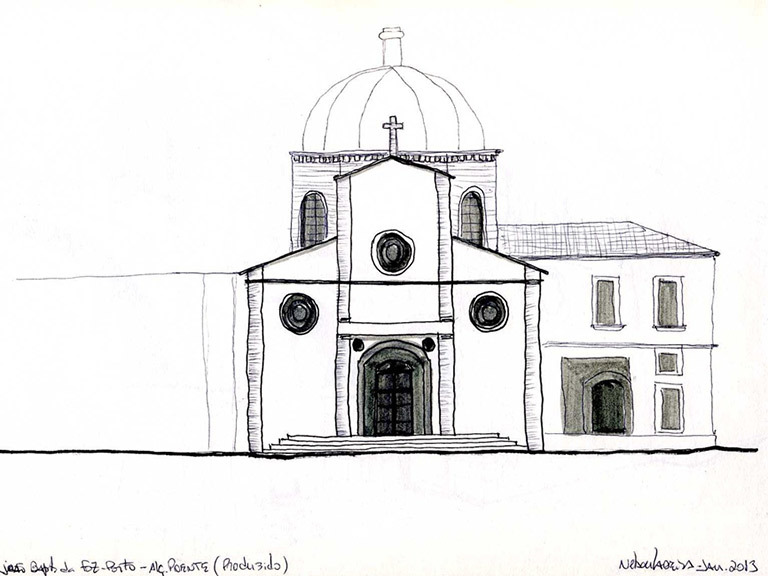 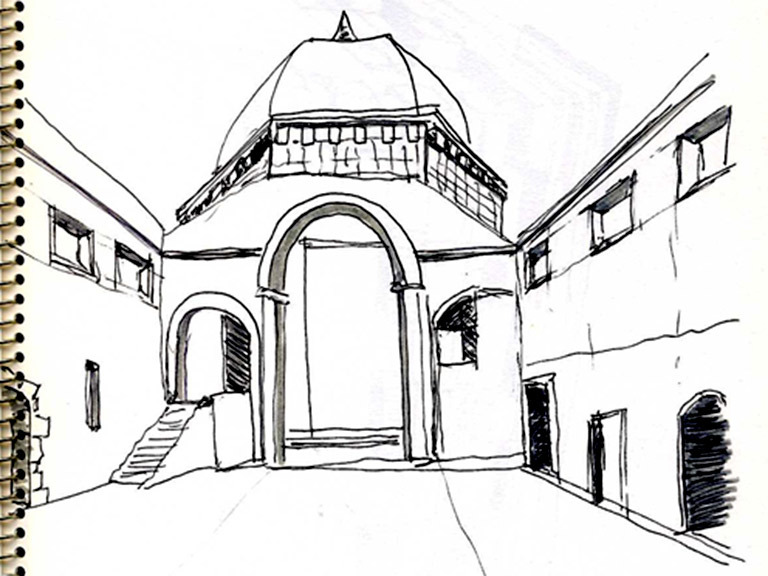 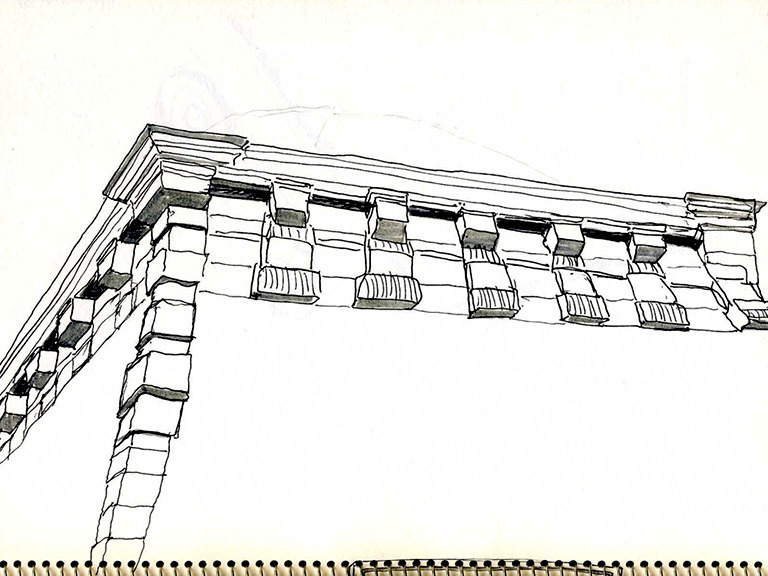 From these drawings, and based on the analysis of the available written and graphic information, a hypothesis it was developed that seeks to reconstitute the primitive church, disappeared with the construction of the military structure.